Want to emulate the look of the Fourth Doctor but don’t want to drag the tassels of your scarf on the floor/swamps of Alzarius? Then why not pick up Lovarzi’s Fourth Doctor Season 18 Burgundy Scarf – now available in a shorter, more manageable size. 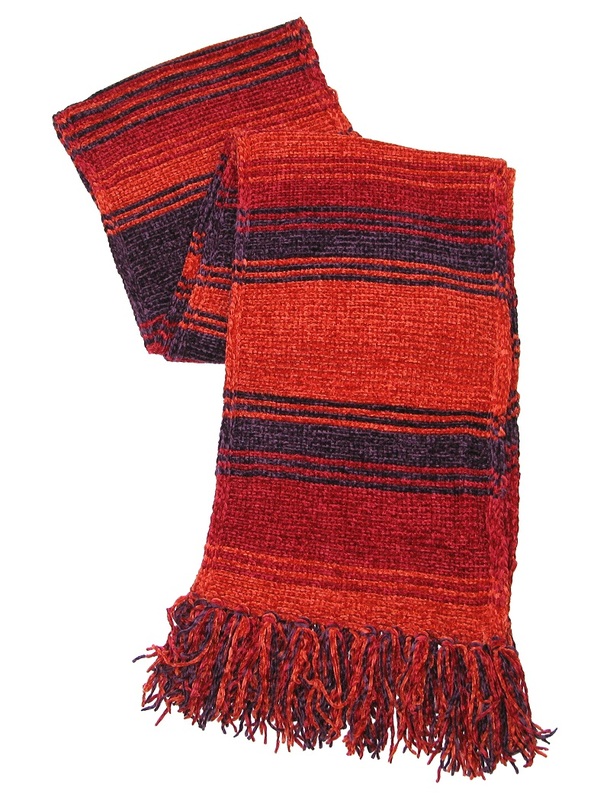 Due to popular demand, Lovarzi have made a second, shorter version of the fan favourite scarf which made its television debut in 1980 in The Leisure Hive. Updating the Fourth Doctor’s iconic costume, designer June Hudson made the darker outfit at the behest of incoming producer, John Nathan-Turner, which Tom Baker wore throughout his swansong season, as the Doctor faced a spiky duplicate in Meglos; explored E-Space in Full Circle, State of Decay, and Warrior’s Gate; met The Keeper of Traken; and took a final fall in Logopolis. The Fourth Doctor Season 18 Burgundy (Shorter) Scarf is made from high-quality lightweight Acrylic Chenille, staying true to the original. It also comes in a specially-designed carry-case, ideal for storage, so it’s great for cosplayers and collectors. 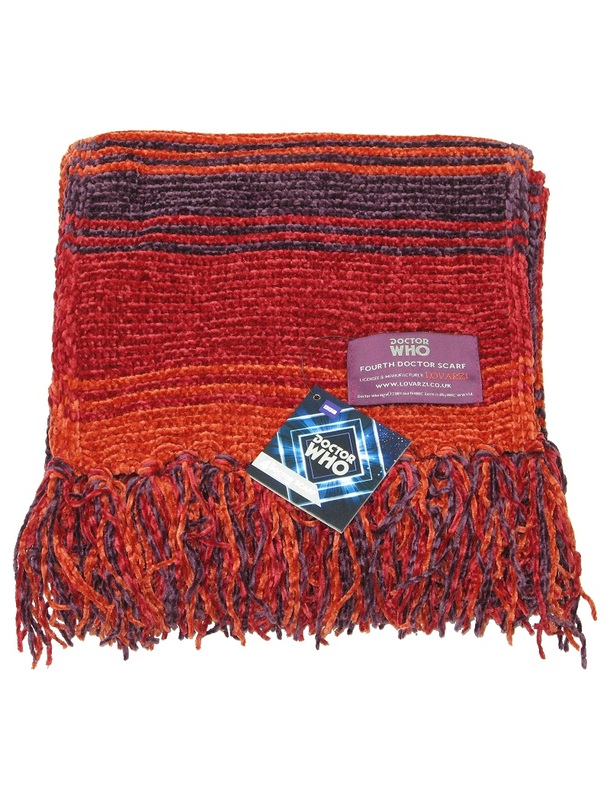 Lovarzi’s officially-licensed Doctor Who line launched in 2012 with the best-selling multi-coloured Fourth Doctor Scarf. 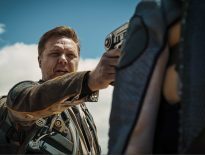 Since then, the company has catered for fans of all eras with items including the Fourth Doctor Knitted Tie, TARDIS Folding Umbrella, and 18ft Season 16- 17 Scarf. 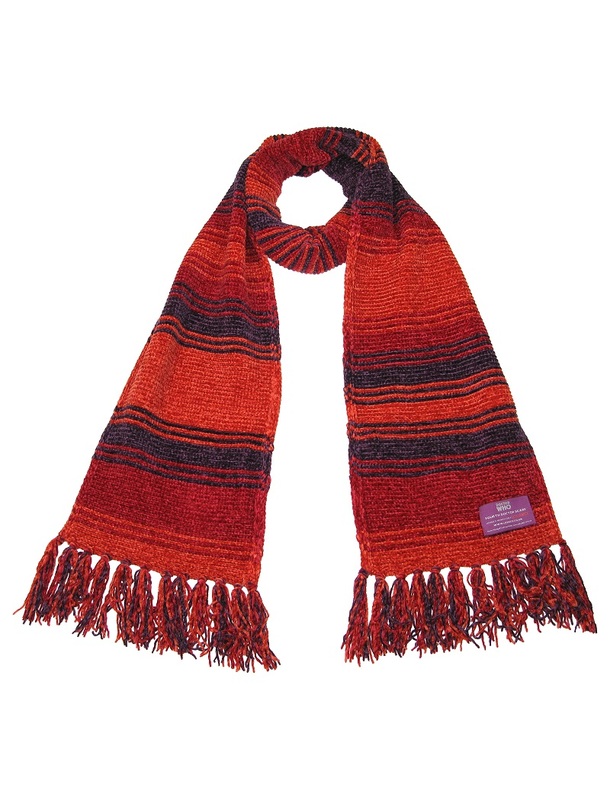 The Fourth Doctor Season 18 Burgundy (Shorter) Scarf will be available to buy from 19th October 2018, priced £24.99, from Lovarzi and Amazon. Members of Lovarzi’s exclusive Doctor Who Fan Club can take advantage of a 15% discount on the Burgundy (Shorter) Scarf – and further discounts whenever new Doctor Who items are added to the range! Become a member by clicking here.